Obituary for Carrie M. Snyder Russell | John Syka Funeral Home, Inc.
Carrie M. Snyder Russell, 91, of Chippewa Twp., formerly of Harmony Township, died Sunday, April 8, 2018 in Elmcroft Senior Living, Chippewa Twp. 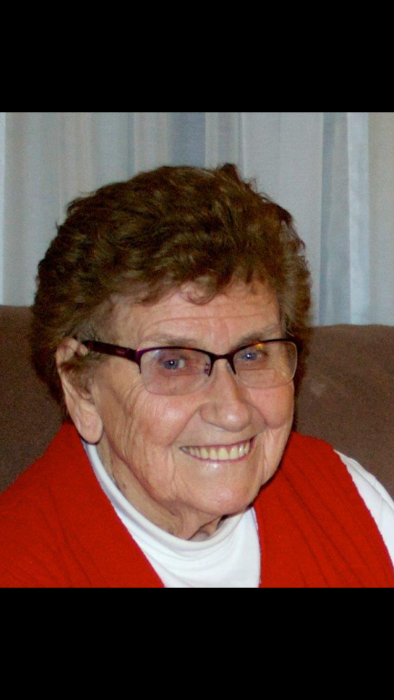 She was born August 8, 1926, in Noris, KY, to the late Robert and Isabelle Burton Thompson, She was a member of Hope of Beaver County, Circle of Friends, Lutheran Seniors of Monaca and the Economy Senior Citizens. Carrie was a quality supervisor for the former J&L Steel Corporation, Aliquippa Works. Preceding her in death in addition to her parents were her first husband, Gene E. Snyder, a son, Dale R. Snyder, six sisters, Kernetta Thompson, Erie Ball, Goldie Lambert, Hope Moore, Fannie Haun and Frankie Hayes, and three brothers, Robert, Howard, and Grover Thompson. Surviving are a son and daughter-in-law, Gene E. and Donna Snyder of Economy, three grandchildren, Dana and Andrew Callender of Virginia, Dale R. (Jessica) Snyder, Jr. of New Sewickley, Deanna Connell of Virginia, nine grandchildren, Aralin, Mia, McKenna, Hannah and Elizabeth Callender, Dalton and Delaney Connell, Heath and Lucy Snyder, daughter-in-law, Diane Snyder Russell of Virginia and former husband Claude Russell. Friends will be received Sunday from 1-5 P.M. in the John Syka Funeral Home, Inc., 833 Kennedy Drive, Ambridge, where a funeral service will be conducted on Monday at 11:00 A.M. by her nephew, Pastor Bill Hayes of Hillview FWB Church. Interment will follow in Woodlawn Memorial Park. The family would like to give a special thank you to the staff of Elmcroft Senior Living, Vitas Health Care, niece, Marsha Hancock and longtime friend, Angelika Mitikos.